AAT is proud to announce our new swingbar nutrunner. 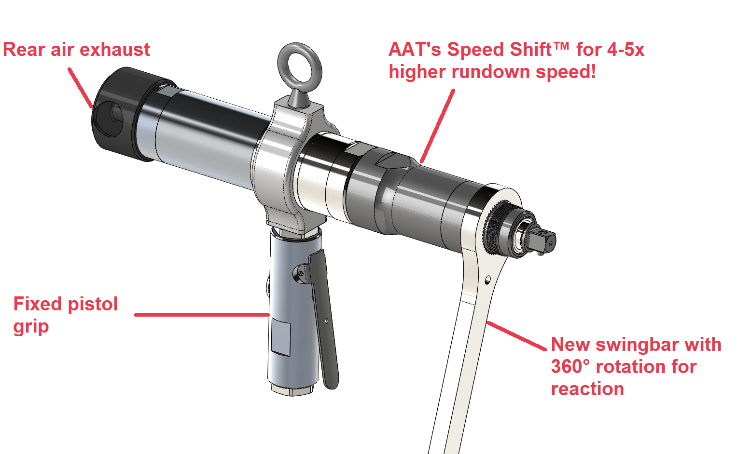 With the power and efficiency of Speed Shift™, you can look forward to a tool that produces less noise, less vibration, and less worker fatigue. Our tool can be used in the most demanding of applications, and is designed to take on impact tools. Precision direct drive gearing allows for only 90db and less vibration. Receive the latest news and product updates from AAT! Your information will never be shared or sold to a 3rd party, and our newsletters are not invasive. We only send them periodically (typically quarterly).